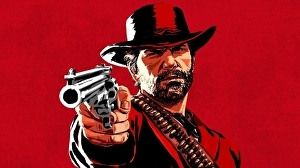 Epic Western adventure Red Dead Redemption 2 has finally been reduced. You can nab a copy for £35.99 on either Xbox One or PlayStation 4 at Amazon. Currys were the first to discount, and Amazon – as we’ve come to expect – immediately matched that price. Copies are flying off the proverbial shelves so best to draw quick if you want one of these. As in the game’s predecessor, you can explore a vast, sprawling world set in the Wild West and rendered in breathtaking detail. There are all sorts of epic and strange adventures, plus dangerous plunder to be had in Red Dead Redemption 2.